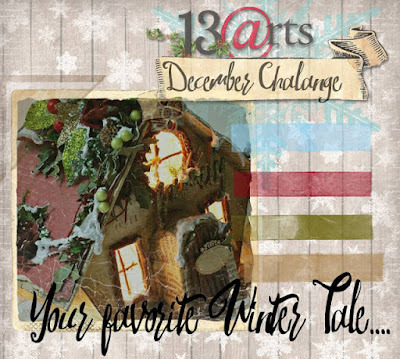 After seeing Aida and Olga of 13 Arts use the new 13 Arts Winter Tales papers in their videos - I knew I had to have it - it is amazing paper! If you get a chance, you should check out 13 Arts YouTube channel and look at some of their mixed media videos - awesome! This is gorgeous Kathy and such a sweet photo! Your snowflakes look amazing!!! Gorgeous design! 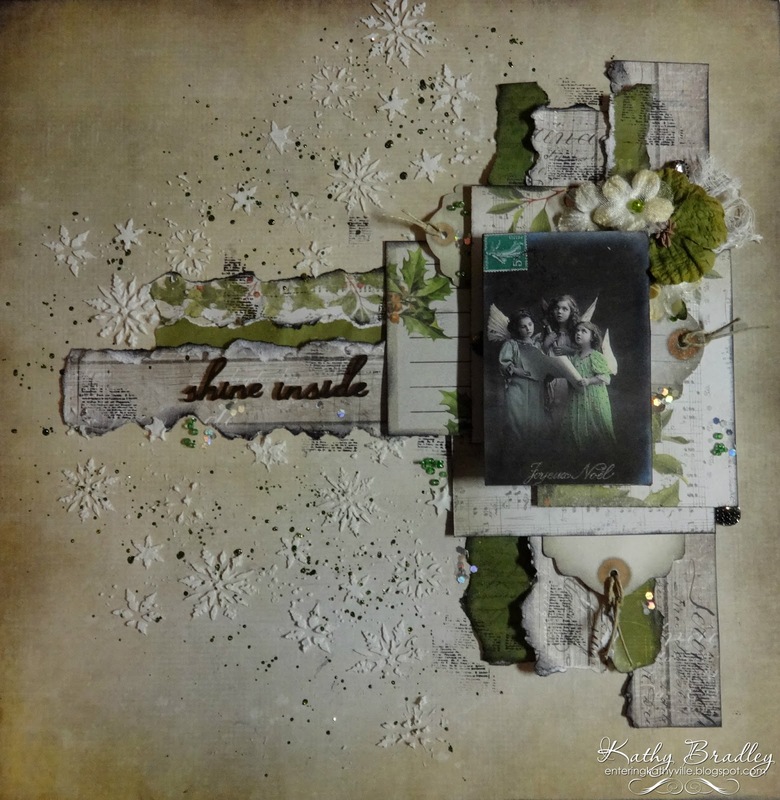 Love the deep green with the neutrals! This is gorgeous. Beautiful snowflakes and colors. So pretty and delicat. Thank you Kathy for playing with us at 13@rts !! Kathy this layout is wonderful! Love the paper stripe layers behind the photo and colors are perfect! 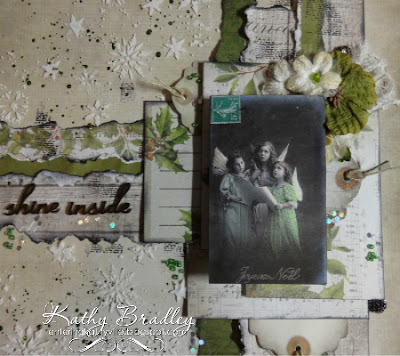 Very well done :) the picture of tree singing angels is so vintage, so beautiful and somehow very calming. So beautiful page! Thank you for playing with us at 13arts! Beautiful layout Kathy :) I see so many 13arts' products here. I hope you had a lot of fun with them :) Thank you for joining our challenge.